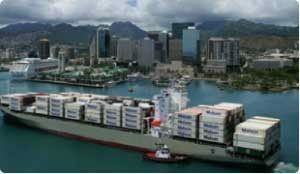 With direct vehicle shipping services to Honolulu, Hilo, Kahului, Kona and Nawiliwili – we can safely ship your car to, and from, the islands at the guaranteed lowest rates! With port to port service, your vehicle will be transported from your port of choice on the mainland to your port of choice in Hawaii. With door to port service, your vehicle will be picked up anywhere nationwide directly from your residence or business and delivered to your port of choice in Hawaii.